Virtual Apps and Desktops from Citrix may be the most popular virtualization solution in the industry, but does it outperform all competitors in terms of cost, ease of use, and scalability? There are other solutions in the market that may better address these issues for your organization, but what are the major differences to keep in mind? 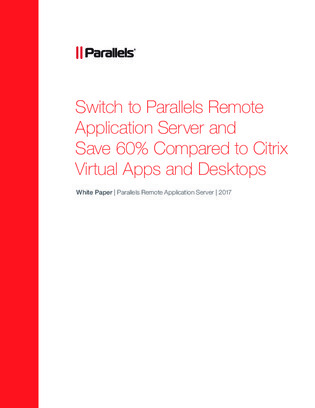 Take a look at this comparison between Citrix Virtual Apps and Desktops and Parallels Remote Application Server Console.